So cute! And so sandy! It's a good thing kids wash easily. 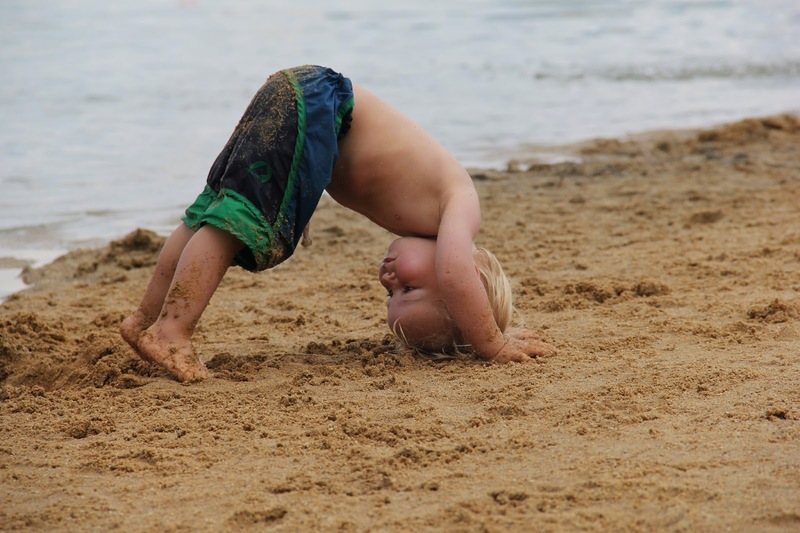 Ruhe und Zufriedenheit fällt mir als erstes ein..
You can never go wrong with Downward Facing Dog! Our moment comes from a recent trip we took to CT to visit my parents. Oh, how I wish we had this rope swing when we were growing up!